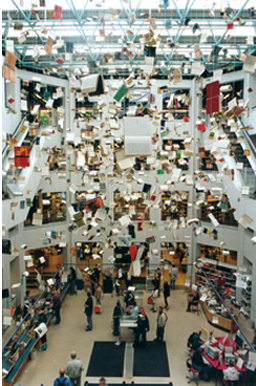 The Central Library, Copenhagen, 2000. Installation completed with drawings, sketches and photomontages. Opened by representatives of several Danish institutions and the Director of the Central Library. Arranged by Nordisk Idé Forum. Covered by the Danish press and TV.